Photo credit: Sikh Coalition and Amit & Naroop. 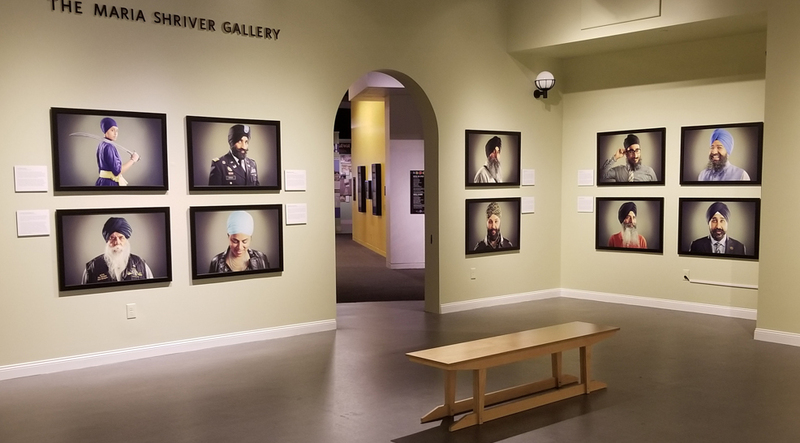 The Sikh Project, a traveling exhibition, is on until March 10 at the California Museum in Sacramento. The traveling exhibition is on until March 10 at the California Museum in Sacramento. The project is in partnership with the Sikh Coalition and was first shown in New York City in 2016. The exhibit has now returned, this time to California. It is aimed at creating awareness about the Sikh faith, and, more importantly, to stress upon the diverse Sikh community, which was amongst one of the earliest immigrant settlers in America. The exhibition also highlights the community, which often bore the brunt of racism especially in post 9/11 America. The exhibit features 38 very different and endearing portraits from various walks of life. The Sikh Coalition partnered with British photographers to bring to the forefront the many facets, contributions and resilience of Sikhs in America, 15 years after the tragic 9/11 attacks. The exhibit was presented in recognition of “California Sikh Awareness and Appreciation Month last November” and aims to embody that Sikhs are here to stay in America.